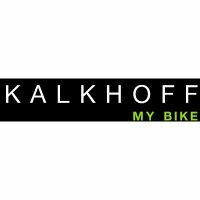 This Kalkhoff Endeavour trekking/hybrid bike showcases the German-engineered Pinion C1.12 bottom bracket-mounted, super wide range (600%) bicycle gearbox. Our suppliers reserve the right to change specifications and prices without notice. Edinburgh Bicycle Cooperative will do all it can to maintain prices and specifications on this web site, however we do reserve the right to change specifications and prices without notice. Similarly, despite the wonders of modern computers, it is realistic to expect the colour of any item bought to differ subtly from the image online. Reserve this bike and view it in one of our stores. Select your nearest store from the below list and arrange an appointment with one of our experts.